I’m pretty sure that I had signed up for the 2009 Myrtle Beach half marathon before Kain was even born. I was chomping at the bit to race. You see, the unexpected second pregnancy had put a damper on my new found hobby of running. Somewhere around 20 weeks, due to some complications, Dr. L put a big ban on running. As any mom will confirm, there is nothing I wouldn’t do for the health and safety of my babies, so running was sidelined. But not without a ton of whining on my part. I missed it. I missed it more than I missed beer and deli meat during my first pregnancy. I literally dreamt of racing, waking up the next morning sad that it was all just a dream. My legs yearned for the burning feeling. Ask any of the moms in the CM running group and they will tell you, I spent the last 18 weeks of my pregnancy complaining and raging green with envy over their race reports, good and bad. 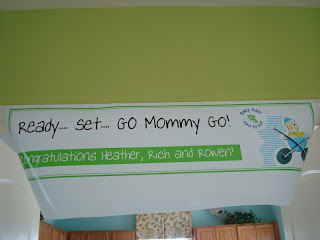 Even my baby shower was running themed (thanks to my sisters and friends!) and the gift of a double B.O.B. stroller put me over the edge. I NEEDED to run. And I vowed to be a die-hard runner once again, as soon as this baby was evicted from my womb. Ignorance is bliss, I guess! Kain was born about a week early, in a fast, easy labor. Well, as easy as labor can be. We came in after breakfast, had a baby before lunch. Can’t beat that, really. 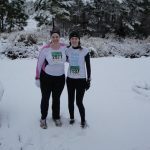 24 hours later, when I asked my doctor how soon I could resume normal exercise and running, she said whenever I wanted. I’m pretty sure she misunderstood my question. Honestly, I knew better, but being the stubborn girl I am, 7 days after the birth of my baby, I went out for a run, under the disapproving looks from Rich and my mother. It had been about 5 months since I last ran. Not to mention my body was certainly far from recovered. But I ran. A couple of times that week. And you know what? It hurt. BAD. I didn’t want to admit it to all of the people who thought I was crazy, but they were right. So I took a little more time off. Life with two babies was very hard for me to adjust to. A lot harder than life with one baby. If Rowen was sleeping, Kain was awake. If Kain was sleeping, Rowen was awake. And when they were both awake, they both needed my attention. Some toddler life altering situation always seemed to always pop up right when I started nursing the baby. It was hard. And then I had to go back to work. 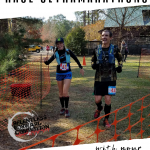 Before I knew it, Valentines Day weekend had stumbled upon us, and Holly and Jim showed up for our 5th annual Myrtle Beach Marathon weekend. I hadn’t run one mile since the week after Kain was born, back in October, and here I was signed up to run a half marathon. We went to the expo and I went through the motions. For the first time in my running career, I was dreading a race. At the expo, I spent time talking to people I knew about everything BUT running. 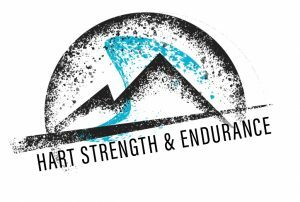 I felt a somewhat resentment towards all of the fit looking people in their various race T-shirts and dri-wicking hats, oogling all of the goodies at the expo, full to the brim with excitement and anticipation. I used to be one of them. I wondered how many people were about to run their first half or full marathon. I wondered if they had religiously trained every weekend leading up to this race, yet still not knowing what they were in for. I, unfortunately, knew exactly what I was in for. The next morning I woke up with Holly at 5:00 am. I spent literally 30 minutes trying on running clothes, then stripping them off in frustration and throwing them on floor, moving on to the next outfit. NOTHING fit. Heck, nothing had been tried on in almost a full year at this point. I finally found something I could live with and huffed out to the kitchen where I ate a bagel. We got in the car and headed to the start. At some point, Holly said to me “you know you don’t HAVE to do this”. I knew I didn’t. In fact I knew it was probably pretty stupid. But a) I’m too stubborn, b) I didn’t want to break out “streak”, and c) I’m too stubborn. I toed that start line. The first 3 miles were run on pure adrenaline and feeding off the race day excitement from the other runners. Albeit not fast, I ran the first 3 miles straight. I kept saying, incredibly cockily, “I can’t believe I haven’t run in FOREVER and I’m about to cross the first 5k mark”. Bless Holly for not slapping me in the back of the head V-8 commercial style. I was in for a rude awakening. Somewhere right past the 3 miler marker, I told Holly I needed to walk, but I would catch right back up to her. The next time I’d see Holly was when she was waiting for me at the finish line. The next 10 miles were MISERABLE. I would run for, oh, 30 seconds at best, before stopping to walk. I had nothing in me. I was so incredibly out of shape, and had no business being out there. I was defeated and the race had barely started. At least my running skirt was cute, and somewhat hid the post baby flubber! Before I knew it, I was toward the back of the pack. Racers were few and further between, and spectators had already left to head to the finish line to cheer in their friends and family. I was miserable, but I couldn’t help but be amused. The things I do to myself, haha. I wanted nothing more than to be done with that race, but I trudged on. If I woke up this early and struggled through this nonsense, then darn it I want a medal. I finished that race in my slowest race time, second to the year we slowly WALKED the entire race when I was pregnant with Rowen. 2:54:20. 13 minutes slower than my first ever half marathon, when I again, didn’t train, and had no idea what I was in for, and 54 minutes slower than my last half marathon, a year before (6 weeks pregnant with Kain). It was humbling. And it’s influence on my running could have gone either way. Luckily, it lit a fire under my @ss. 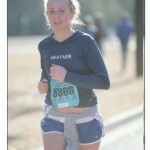 And for that, I will forever be thankful of the miserable 2009 Myrtle Beach half marathon. 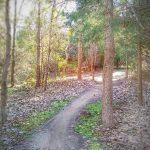 If it wasn’t for this race, I might have kept putting off running…using the excuse of being caught up in the chaos that is a busy mom’s life. But instead, I started running the next week. 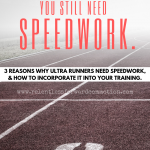 Did my first 5k post baby a few weeks later, and started this running blog. 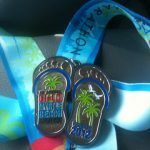 6 months later, I ran a 2:00:26 at the Virgina Beach Rock n Roll half marathon, and was pissed with my time. Looking back now, that’s hysterical. I took 53 minutes and 34 seconds off since my last half marathon, and I was angry I wasn’t faster. Hahahaha. What is it they say about hindsight? 2009 has been a fantastic year in every sense. I’ve watched my two, beautiful baby boys grow…Rowen from a timid two year old to a blabbering, headstrong 3 going on 16 year old, and Kain from a helpless infant to a toddling, independent, mischievous 1 year old. I’ve watched their friendship grow, from the days Rowen wanted me to “get rid of baby”, to now when he can’t wait for Kain to wake up from his nap so they can play. I’ve gone back to school to finish pursuing my career and passion. I’ve built a stronger relationship with Rich. I’ve watched my running grow stronger day by day, and have come to accept the fact that slow and steady progress is good, expecting to go from baby to a Boston Qualifying time over night in my first few years of running is not. I really have come so far. So while I hate to say good bye to 2009, I can’t wait to see what 2010 holds in store for me. For all of us. Thank you everyone, for sharing this journey with me! Have a Happy New Year, and be safe tonight! Me, well i have a 5k to rest up for in the morning. No better way to start of 2010! « Do they make cheese flavored GU to go with this WHINE? I love that post – totally motivating. Sounds like you really have had an amazing year. I’m sure 2010 will be even better! Great story! Pregnancy and kids can really throw your life off kilter. And it’s hard when you have to, temporarily, give up doing what you love. Good for you, for getting it all back! Wow, Heather – you are one tough mother. 2010 is going to be great for you. Nice post! Babies are so time consuming but so worth it in the long run! You spend half the time dying for them to get older so life will get easier and the other half the time panicking that you only have a few good years left with them! Wow, you made great progress this year! Can’t wait to see what 2010 holds! What an amazing year – and your right, hindsight reall is something! Hope you have an awesome 2010! I really enjoy reading everyone’s reflections on the past year, especially your story. Happy New Year to you and all the best that 2010 can bring! Happy New Year! And I agree, while I hate saying by to a fab 2009, i’m excited to see what’s in store for 2010! Thank you so much for sharing this story!!! It is so great! I’m sure your 2010 will have a lot of blessings in store! i loved this post! 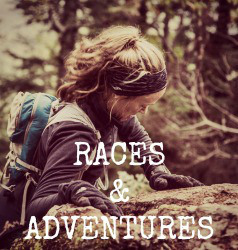 I love reading blogs from you amazing running moms! I’m a 21 (ok 20…but 21 on monday!) yr old college student who thinks I don’t have time to make my running goals…but you wonderful superwomen run, work, go to school, raise kids, take care of family, etc. you remind me to remember running is my stress reliever not stress inducer! Thanks to all you wonderful blog moms (and my wonderful mother who couldn’t blog her way out of a paper bag)! Isn’t it funny how we label an accomplishment? 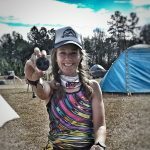 When the times got tough, you made the right choice and used your perceived failure to reignite your passion in running. This shows a lot about who you are inside…great work! This was a great post! Happy new year! Happy New Year!! Can’t wait to see where 2010 takes you! I have loved following you on your adventures. Your posts have inspired me, made me laugh and brightened my day many times. I can’t wait to see what 2010 has in store for you. Happy New Year and happy running and racing!!! Thanks for this insightful post. 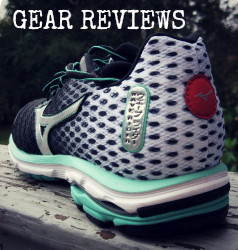 I’m 9 weeks postpartum and struggling with what my running goals should be for 2010…you’ve helped me remember that slow and steady is the best plan. He’ll get to log plenty of miles in the jogging stoller even if I don’t run a marathon this year! A very moving post! Love it. Love the baby picture, too – what a cutie! I’m sure you’re going to have a great 2010! Happy New Year to you!! How motivating! Congrats on everything you accomplished in 2009 and here’s to an even better 2010. Looking forward to reading more. What a great motivating post. It makes me feel better to see how fast you were able to regain your fitness once you got back in the groove. I am already so bummed that running a mile or two now feels like running 10 used to, and I know it is only going to get worse before it gets better at this point. Thanks for sharing! Thanks for sharing that. Running with kids can be challenging but it is so worth it. Good for you for getting back into it.